A great way for you and your employees to relax and socialize together during the summer and upcoming fall season, your corporate event can take on many different styles. Whether you are interested in creating a calm, laid back atmosphere where employees can take their mind off of office stress, or are interested in wowing your team with a dazzling event to thank them for their hard work and dedication, Metro Yacht Charters of New York is happy to help! Corporate event yacht rentals have been a specialty of ours for many years, and we always look forward to assisting New York City corporations plan exclusive yacht charters unique to their business size and vision. We can help you host a casual corporate celebration with soft jazz music, delicious appetizers and breathtaking views of the Hudson River and the sights along it. Or we can throw a spectacular bash with all the bells and whistles – like wine tastings, casino themed games, DJs, light shows, photo booths and cigar rollers. Of course, one of the most important factors to consider when planning your corporate yacht event is the size and style of the yacht itself. At Metro Yacht Charters of New York, we have an expansive fleet of yachts and are sure that one of them will fit your vision perfectly. We have yachts with lounge/dance floors, expansive dining areas, elegant salons, gorgeous outdoor areas and much more. Whether you are looking for a yacht that will accommodate 50 guests for an intimate affair, or one that will fit upwards of 200 employees, Metro Yacht Charters can create the perfect backdrop for your corporate event of the summer. 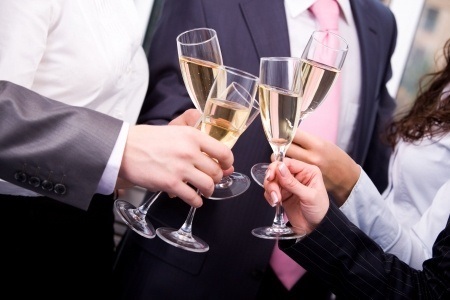 Is your company ready to begin the event planning process with Metro Yacht Charters of New York? Visit us online for a quote or contact us by phone at 646-780-9693 to learn more about the services we offer.